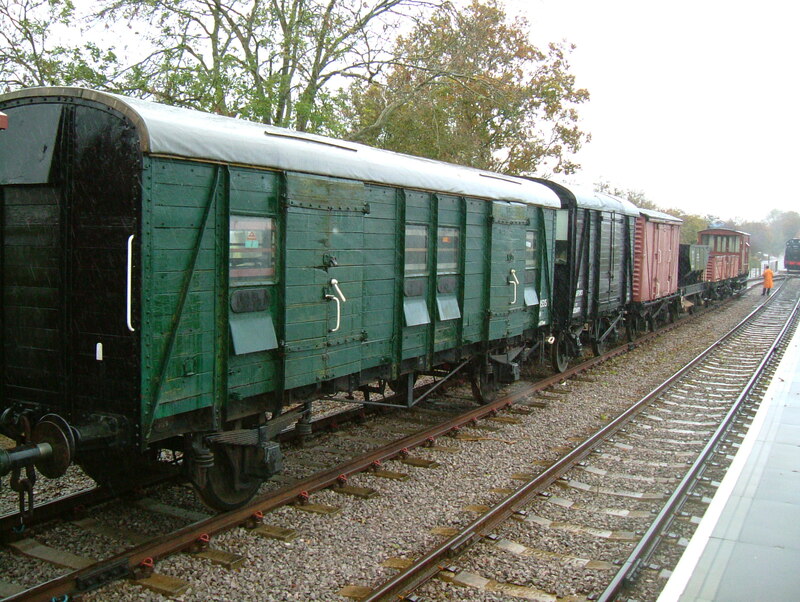 In addition to 4123, the London Midland Society also owns various items of rolling stock which are used in support of the restoration project. PMV no. 1153 in the AVR’s demonstration freight train and seen here at Avon Riverside Station. 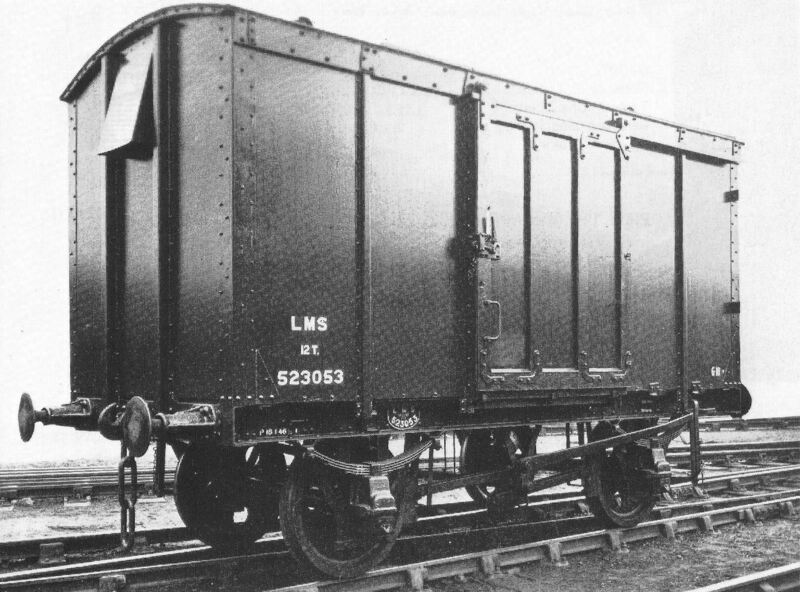 This van is one of the numerous and highly successful Parcels and Luggage Vans – PLV (later known as Parcels and Miscellaneous Van – PMV) to be constructed by the Southern Railway to diagram No. 3103. Many hundreds of these and similar vans were built to a South Eastern and Chatham Railway design dating from 1919. S1153S was built at Ashford works in 1937 and entered traffic in April of that year as ‘1153’. It saw almost fifty years in service, being withdrawn by British Rail in 1985 at Peterborough, and was believed to have been one of the last PMVs in revenue earning (as opposed to departmental) service with BR. It was originally purchased by the 35025 Brocklebank Line Association and served them well at the Great Central Railway in Loughborough for many years. In 2007 it was acquired by the London Midland Society and moved to Bitton, where it is used as a stores vehicle for 4123. The van is operational and makes occasional appearances in the AVR’s demonstration goods train, as seen above. 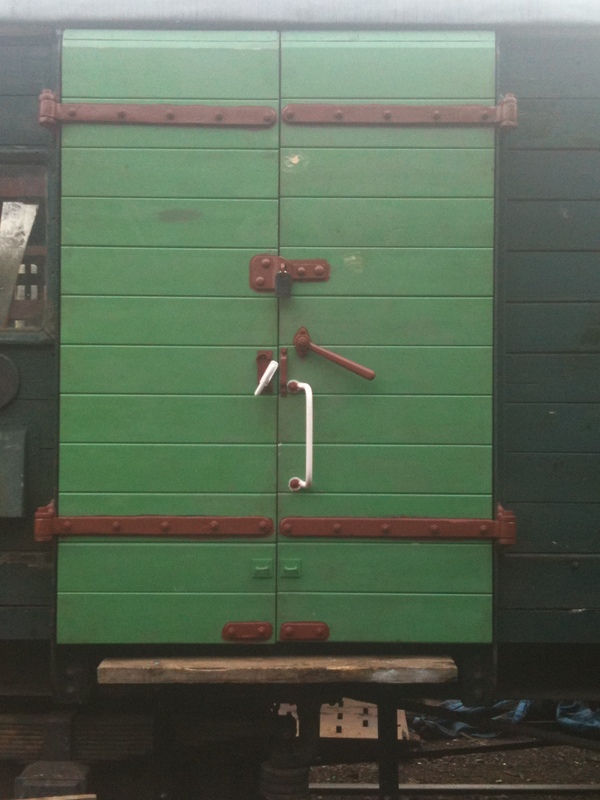 It is undergoing a rolling programme of maintenance and restoration, and has recently been fitted with replacement number plates, data panels and new doors. It has also had its step boards replaced after many years without them. One of the four new pairs of doors which were made in house by the LMS. This four-wheeled van is one of many thousands constructed by the LMS for general purposes, including the transport of fish. The van owned by the LMS is of plywood construction, and has served as a stores vehicle for the heavier components removed from 4123. It is generally good condition, but will need to have one of its doors replaced before too long.